/What Are You Complaining About? What is the thing/person/situation you are complaining most about lately? I’m not talking about the guy who cut you off in traffic or the fact that your dinner was cold. I’m talking about the set of circumstances you’ve been talking/thinking about regularly – the absence of which would make your life/business a whole lot easier. 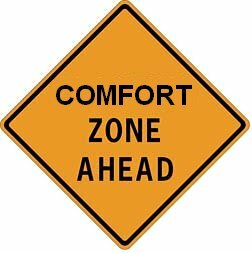 Try this on for size: What if what I’m complaining about, what I wish were different, is actually pointing me to a comfort zone that I am holding on to? What if my complaints are actually allies, helping to shine the light on attitudes, beliefs, activities that are no longer serving me or what I’m looking to achieve? In our business, we can (and do) complain about a lot of different things. There’s not enough people to talk to. I can’t find the right people to talk to. No one is interested. Everyone is broke. People don’t follow through. People don’t follow the process. People don’t get into action. People quit. It’s too hard, overwhelming. I don’t know how to do it. No one is helping me. I’m not getting any results. And on and on and on. What’s yours? 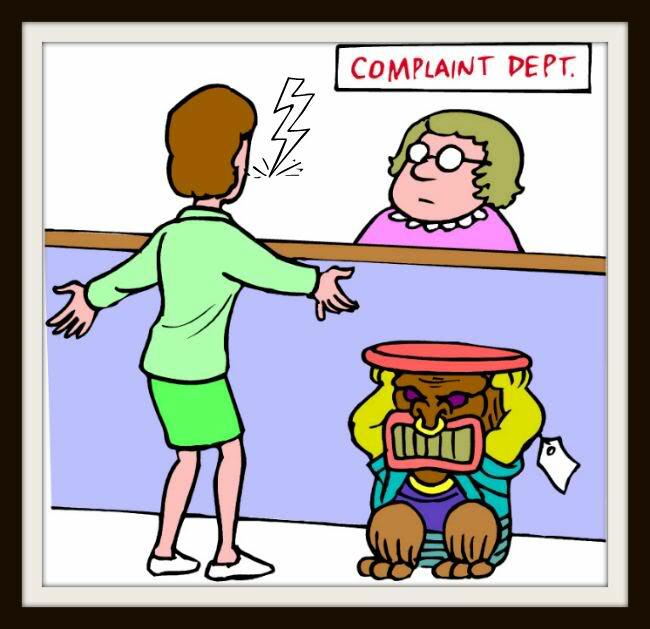 Pick your favorite complaint and I’ll show you a payoff for staying there. One of my most powerful breakthroughs came with the exploration of comfort zones – those that serve us and those that don’t. It was eye-opening to see them broken down into two categories: doing and being. And finally, the ultimate illumination came, for me, in considering the cost and benefit of each individually. On the “doing” side, I will fess up to things like complaining, focusing on details, updating systems, managing, proving, procrastinating…to name a few. Most, however, fell on the “being” side. These would include thoughts and attitudes such as worrying, avoiding change, controlling, money and lack of results. WAIT, what?! Lack of results? Rewind that. The cost is obvious, but what could possibly be the payoff for lack of results?! The answer came in turning the complaint around and asking myself one simple question: What am I afraid will happen when I DO get results? In other words, if I keep saying that I’m creating massive growth but it isn’t happening, what is my fear if it DOES happen? Bingo! There was my answer. I have been afraid of overwhelm. In turn, I have been afraid of the litany of “what if’s” and “how’s” that come with it. What if I’m growing so fast that people fall through the cracks? How am I going to ensure that everyone gets the attention and help they need? What if I’m not able to give everyone what they need? How do I create these results and make sure everyone is getting served, including me? How do I keep from burning out? Our complaints are protecting us by helping us stay in our comfort zone. Likewise, they are the ways we sabotage our success. In my case, I am (was) unknowingly limiting my results because I’m playing it safe, keeping myself from getting overwhelmed. The intention is a good one, it’s just not serving my purpose any longer. Okay, so I’ve outed my comfort zones, now what? This is where the simplicity of the Bigger Game model helps illuminate and clarify the path of least resistance to achieving our goals. This is where being connected to our Bigger Game turns all the “what if’s” and “how to’s” into possibilities rather than nagging obstacles. 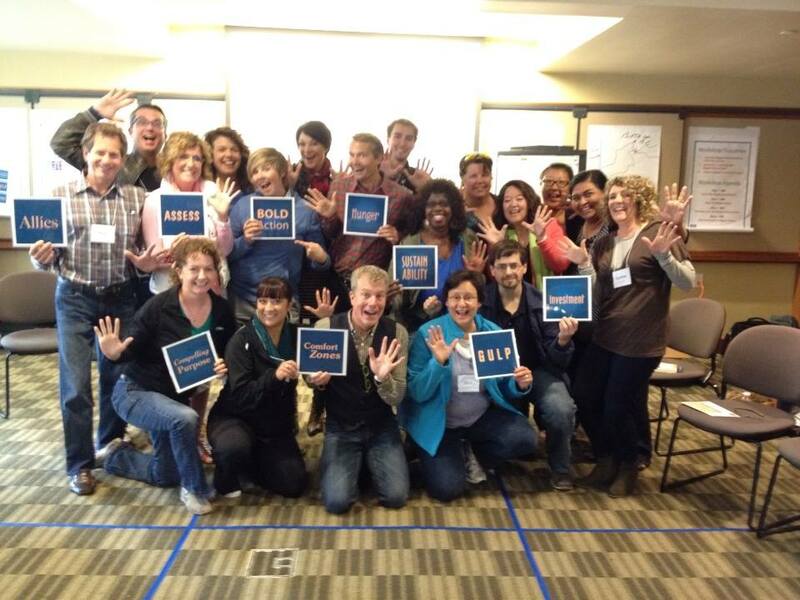 Picture this: What if growing a Shaklee business (or whatever your endeavor is) didn’t have to be a struggle? Imagine massive growth that is simple, manageable and sustainable. Imagine no overwhelm, no burnout. What if I retained more leaders than having to replace those who quit? What if excuses were a rarity rather than the norm? How about having a team that crushes obstacles because they are driven from within? How about working with people who are so driven and self-motivated that the HOW becomes obsolete? That is the Bigger Game. That is my bigger game. Who wants more of THAT?! Bigger Game, comfort zones, Compelling Purpose, fear, intention, Rick Tamlyn, self knowledge, Shaklee, your "Why"